Election debates should be accountable to one constituency: the public. This Open Debate is the first Senate debate in U.S. history that empowers regular citizens to join the dialogue as equals. On FloridaOpenDebate.com, questions are submitted by the people who most need to be informed about the candidates' positions — the voters! For the very first time they can also vote and determine which questions get asked. By making the submission and voting process transparent and bottom-up, the Open Debate ensures that the topics covered reflect the interests and priorities of voters like you. Tune in: The Open Debate will take place on Monday, April 25, at 7:00 pm EDT. Watch it live on FloridaOpenDebate.com or TYTNetwork.com. We are a coalition of people and organizations from across the ideological spectrum urging that political debates be made more “of the people” by bringing them fully into the Internet age. Specifically, we endorse this Open Debate principle: The public should be empowered to conceive and select debate questions – so that questions addressed by candidates represent the will of the people. This is not a matter of right versus left, but new versus old. Participatory democracy is a driving principle of the open Internet. The best ideas rise to the top, and the wisdom of crowds prevails. Moderators can choose from among the top questions proposed and voted on by the public – and have discretion to ask follow-up questions. Many formats can be experimented with, some typical and others so innovative they have yet to be conceived. As voter participation declines, voter-driven Open Debates that embrace the Internet’s bottom-up ethos could breathe fresh air into our democracy – and attract more young people to participate. The members of the Open Debate Coalition don’t agree on every issue. But we agree that by bringing together the power of the Internet with the voices of voters, we can ensure that debates are truly “of the people.” We urge candidates, political parties, the media, and debate hosts to work with us and the public to transform our democracy through Open Debates. This represents the future of democracy, and we can make great strides together in the 2016 election. Arianna Huffington is also a member of the Open Debate Coalition. Rep. Alan Grayson is an outspoken progressive who has represented the Orlando area in Congress over three terms. He grew up in a union household, and his parents were educators. He worked his way through Harvard as a janitor and night watchman, graduating with honors in three years. He worked as an economist for two years before entering law school, later becoming the only lawyer to successfully bring a fraud case to trial against those who illegally profited from the war in Iraq. He also helped found an Internet-telecom business that’s still traded on the New York Stock Exchange today. Rep. Grayson has not only fought to protect Social Security and Medicare, he’s filed legislation to expand them. He’s passed more amendments than any member of Congress in the last three years. And he’s the only one -- besides Bernie Sanders -- to raise most of his campaign funds from small-dollar donations. He’s doing it again in his Senate race. Rep. Grayson is unbought and unbossed. 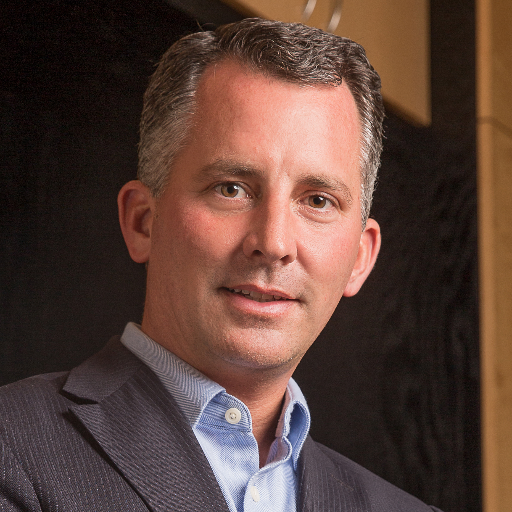 David Jolly shocked the nation in 2014 when he defeated a Democratic heavyweight in a Florida congressional district President Obama had won twice. After the special election, some in the press labeled Jolly a "giant killer" for winning despite being a first-time candidate and getting outraised 3-to-1. In just two years in the U.S. House, Jolly has been a fighter for Floridians. Fighting to ensure that all veterans get to choose where they receive their health care. Fighting to protect the brave men and women in blue who patrol our streets and communities. Fighting to give Israel the ammunition necessary to successfully combat savages of terror. Fighting to permanently change the way Washington conducts business. Now the clear Republican frontrunner to replace Marco Rubio in the U.S. Senate, Jolly has been touted by CNN as one of nine "movers and shakers" to watch nationally in 2016. He's developed an unfiltered reputation for bucking the establishment when he felt it was playing politics with issues that demand courage and even political sacrifice.